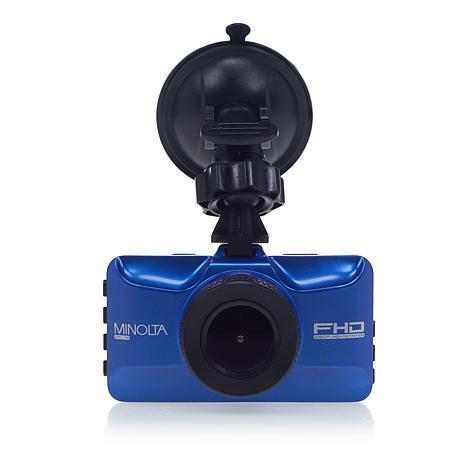 Record your daily travels and long-distance drives in vivid HD with this Minolta dash cam in an array of cool colors. It loop-records in full HD, overwriting the oldest footage first. In the event of an impact or sudden stop, its built-in G sensor locks your footage to prevent accidental overwrite. 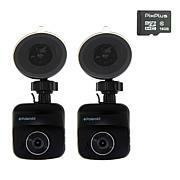 It keeps an eye on your car when it's parked too, automatically recording when it detects motion in its field of view. 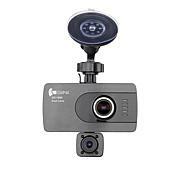 The dash cam incorporates a mini HDMI port. To use this feature with conventional TVs with HDMI ports, an HDMI cable will need to have the standard HDMI connector on one end and a Mini HDMI connector on the other end. BOUGHT THIS DURING CHRISTMAS TIME FOR MY HUSBAND AND BROTHERS AND THEY LOVE IT. SO MUCH FUN TO RECORD WHILE YOUR DRIVING. GOING TO GET ANOTHER ONE WHEN THEY ARE BACK IN STOCK. It is much easier to create your settings before mounting the unit. The lower left button is power and the upper right changes your settings. Initially the instructions seem somewhat confusing, but hang in there! 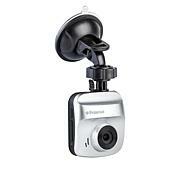 The results are worth it; as the cam gives great 160 degree rolling camera views. Also takes still pics. Enjoy, this is my first cam..
My son was delighted with this Christmas gift He said everything was so clear and already in his car and using it. I bought this for my husband for Christmas. He loves it. Nice vibrant wide screen, easy to use. Does what it is suppose to. Easy to put in and out of his truck. thank you great camera easy easy to use , but battery life not too good !